Join Brad Staples of Deschutes River Jet Boat Tours for a scenic jet boat tour on the lower Deschutes including class 3 rapids in Oregon. 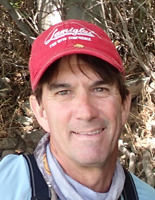 Your captain for the tour, Brad Staples, has been a licensed fishing guide on the lower Deschutes River since 1983. Brad is a US Coast Guard Licensed Operator and is First Aid certified. He and his business partner Danny Haak formed Western Fishing Adventures LTD. in 1984. His guided fishing trips regularly sell out over a year in advance. Tours are in a 24' Willie Predator jet boat with a 200 HP Mercury Optimax outboard jet. Deschutes River Jet Boat Tours is doing business as Western Fishing Adventures LTD and is a permitted outfitter on the lower Deschutes River.